Wonder in the Chinese wisdom with Mandarin Garden in summer vocation! In Chinese people’s mind,traditional country life is always the wildest dream:living in a small cabin hidden in the mount and having a simple life with wine and poems.The concept of leisure life is revealed everywhere in Mandarin Garden Summer Camp. Children participated in the Go-chess game and fought against each other,and they not only learned the techniques to play chess,but also experienced in the philosophy of yin and yang,which lean against each other and live with each other. 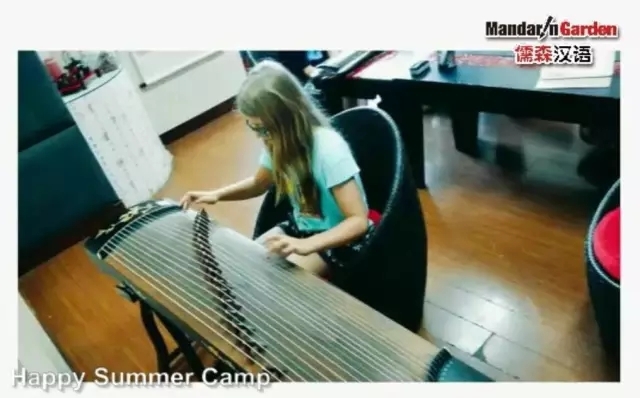 Girls liked to play the music instruments,especially the zither.The sound of the strings attracts the foreign children and they all fell for it.Music is acknowledged to nature the spirits,and Chinese traditional music does make it work. The four treasure of Study is referred to writing brushes,paper,ink stones and ink sticks,ancient Chinese used those simple equipment to paint and write with distinct shades.Guided by the professional teacher,children started to write their own calligraphy.Curly and straight lines combine into the Chinese square characters.Those words themselves consist of the wisdom of Chinese people,which we wish the campers can understand. The four friends of noble men are plum,orchid,bamboo and chrysanthemum.Children also used their brushes to paint different types of them.The beautiful qualities cherished by ancient Chinese are also hide in those plants-tough and pride. Neither body nor soul,should be neglected.Mandarin Garden choose Tai-Chi,the most traditional martial art in China,to be the physical activity for the Children,slow motions show the harmonious life philosophy,which belongs to the Taoists.Beijing Opera appreciation,tea ceremony and other activities were held between the breaks of curriculum,and we hope those activities would reduce the pressure and have fun. 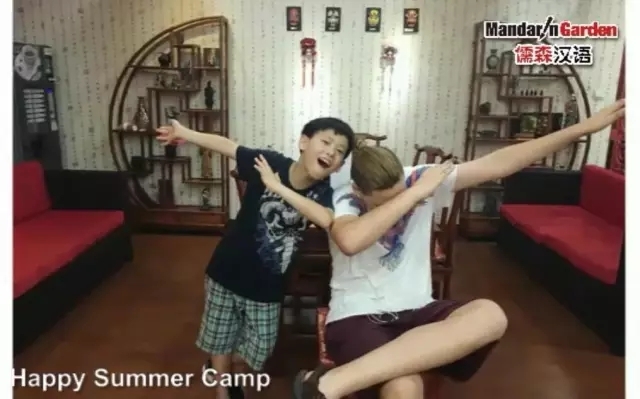 In the Mandarin Garden summer camp,ancient Chinese’s wisdom,with the sincere wish that let our next generation follow the Chinese traditional principles are anchored in our diversified culture activities,and we are looking forward to building a promising future for children with your efforts together. Prev: A happy,safe,and meaningful summer camp is waiting for you! Next: HSK -- The horn of war is blowing.